I really, really wanted this to be great. After hearing it would be based off this really cool short, I thought no way this could be bad. But it looks like every other Adam Sandler movie, just with all your favorite video games as props. Pixels essentially takes some of the most iconic arcade games and brings them to life. And they look really great in a live-action setting. Pac-Man, Donkey Kong, and many others tug at our nostalgia strings. But then Sandler opens his mouth, and it all goes down hill from there. 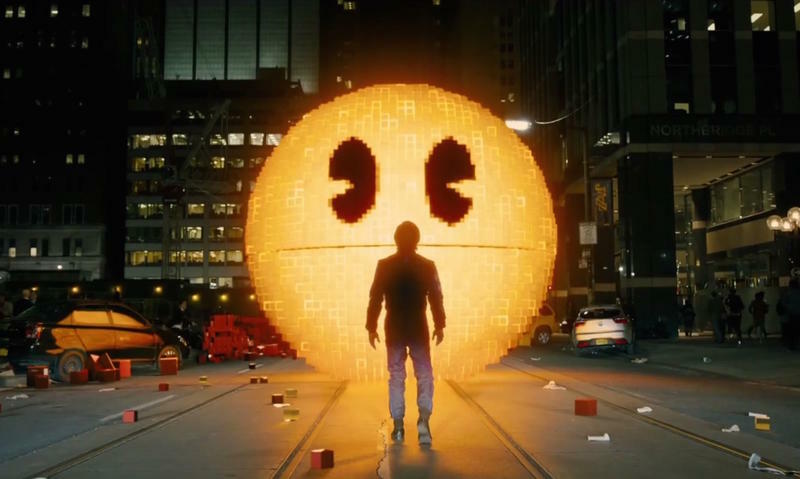 It almost feels as though Pixels is making a mockery of the classics it’s trying so hard to pay homage to—one scene involving Pac-Man is especially cringeworthy. Maybe Pixels will turn out better than the trailer is leading on. Maybe Adam Sandler can still be funny. We’re not overly impressed so far, however, which is hugely disappointing given the subject matter. It doesn’t help that the plot—aliens attack Earth and it’s up to Sandler to save humanity—is kind of ridiculous, too. Look for Pixels to hit theaters on July 24, 2015.